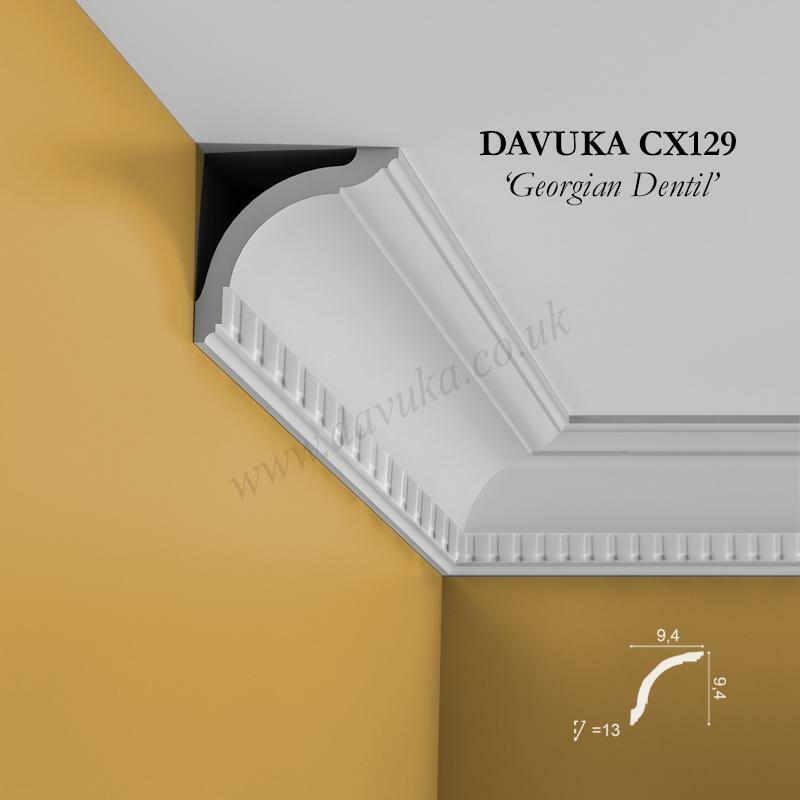 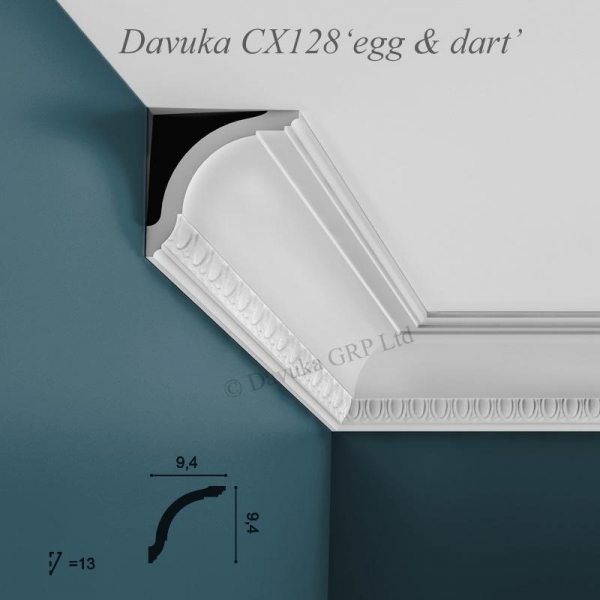 This is the same profile as the lovely CX127 ‘Caress’ but in ‘reverse’ format, so the addition of the egg and dart styling across the curved length gives a nice rounded effect to the egg portion of the design. 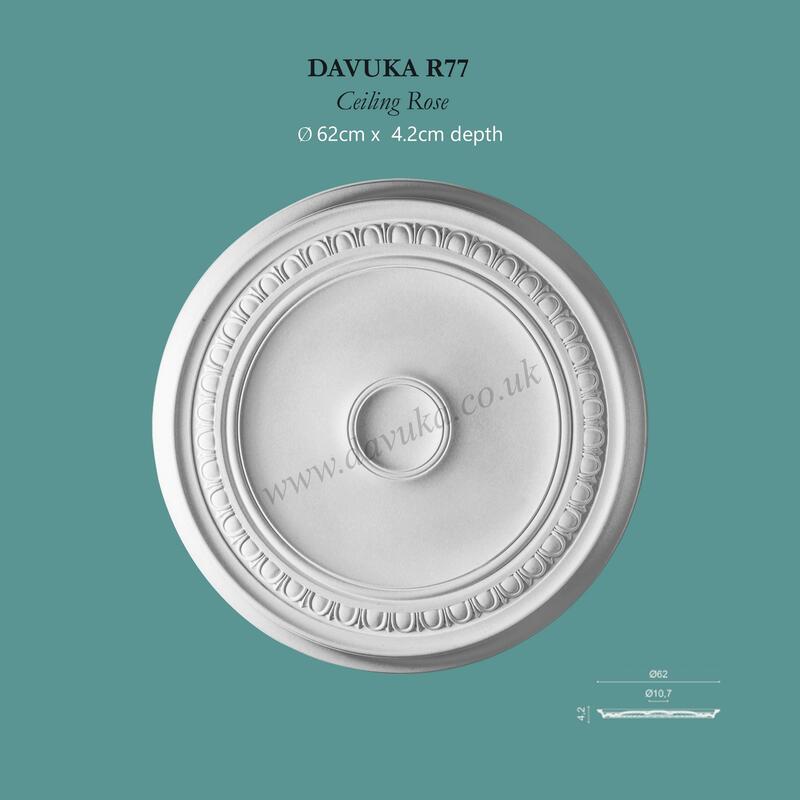 Especially popular in the Victorian era. 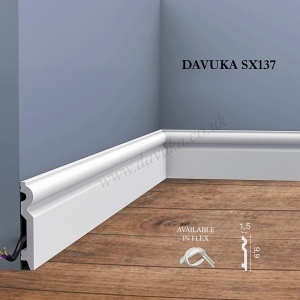 Please ensure installation is done in accordance with correct adhesives for a perfect result. 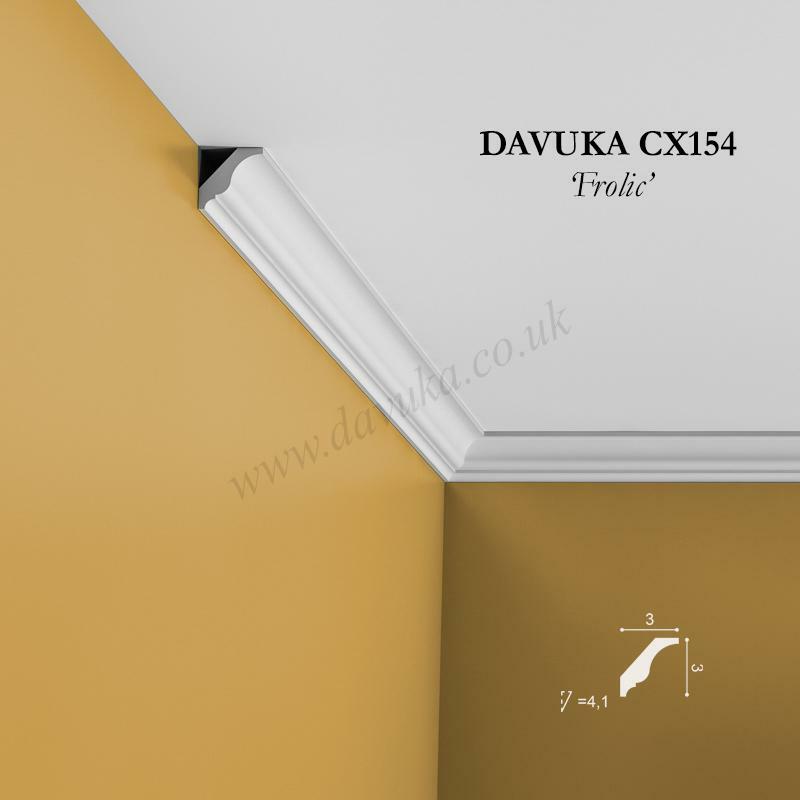 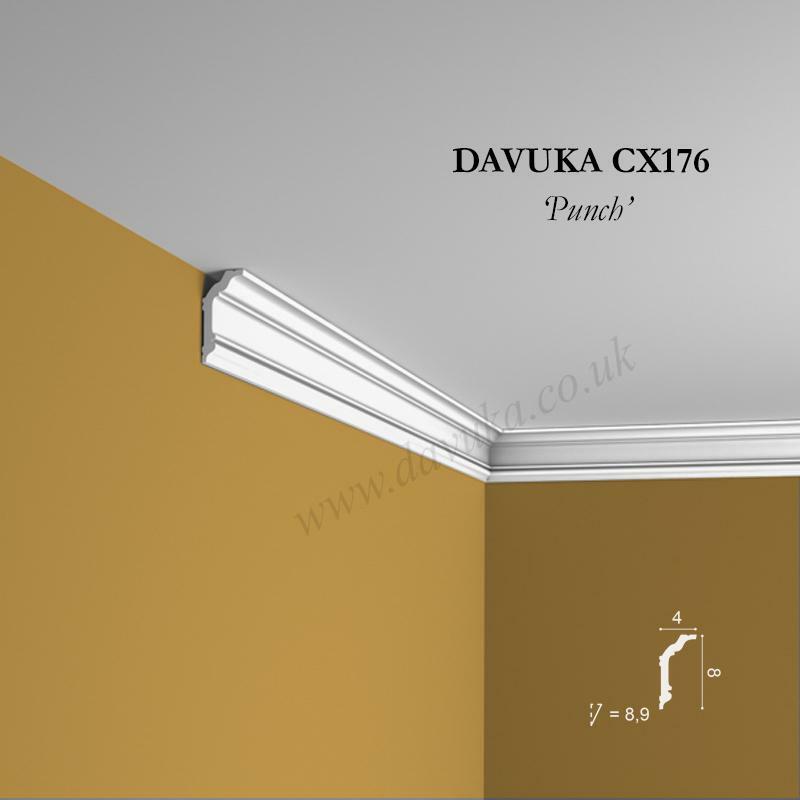 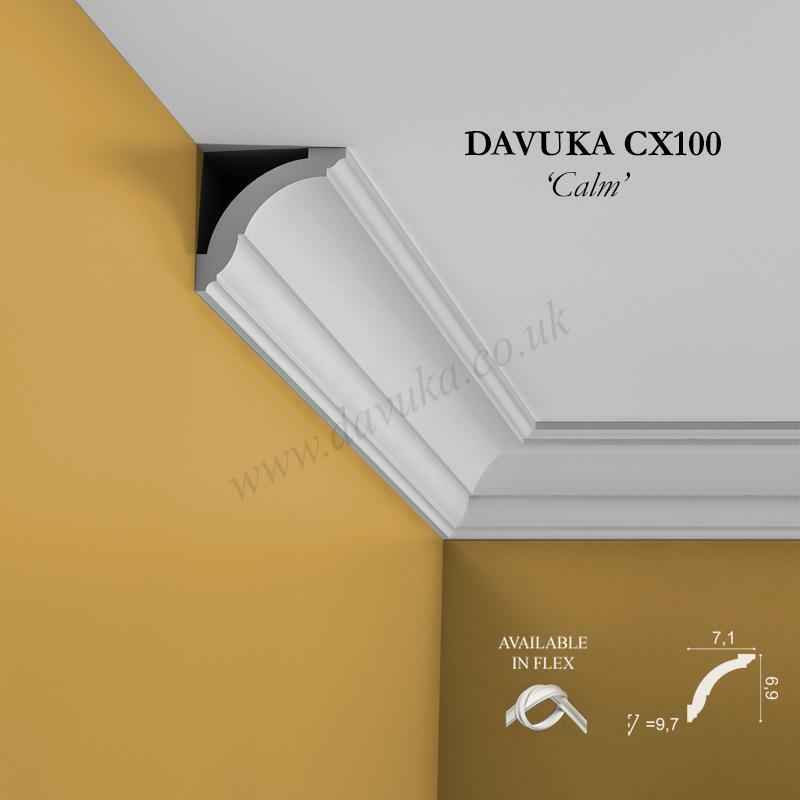 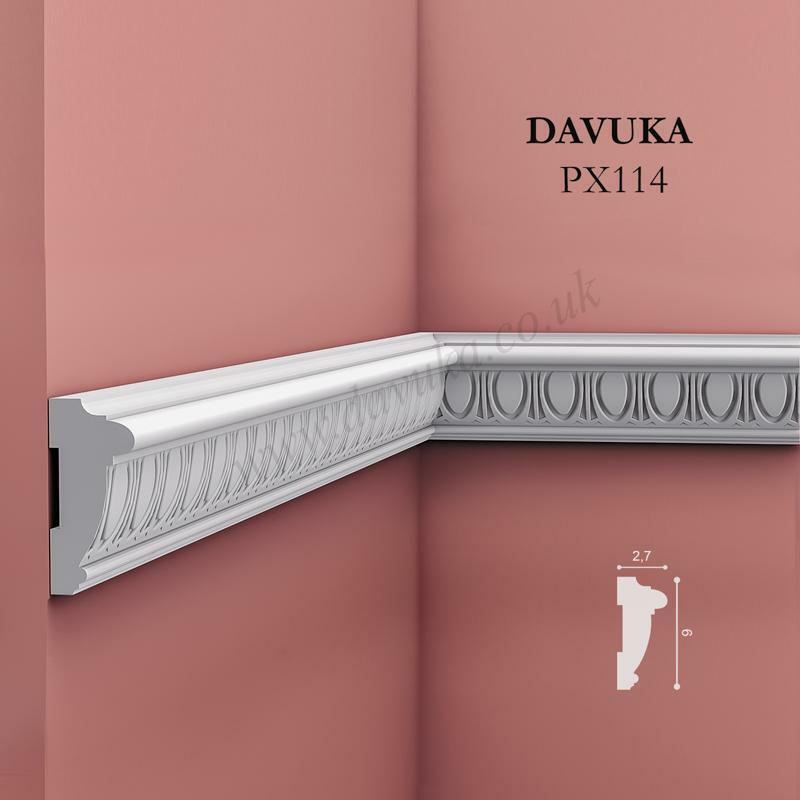 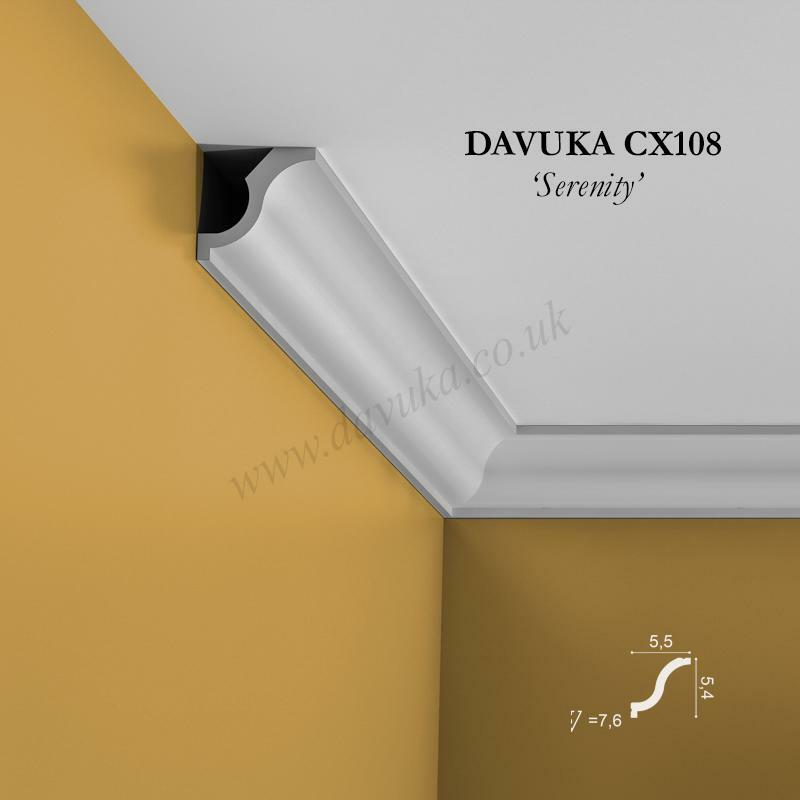 Using the Correct Jointing and Mounting Adhesives for the CX128 ‘Caress – egg & dart’ coving- IMPORTANT!